July 2017: Offset buys Cardi a 60k chain. 5. July 2017: Offset buys Cardi a 60k chain. 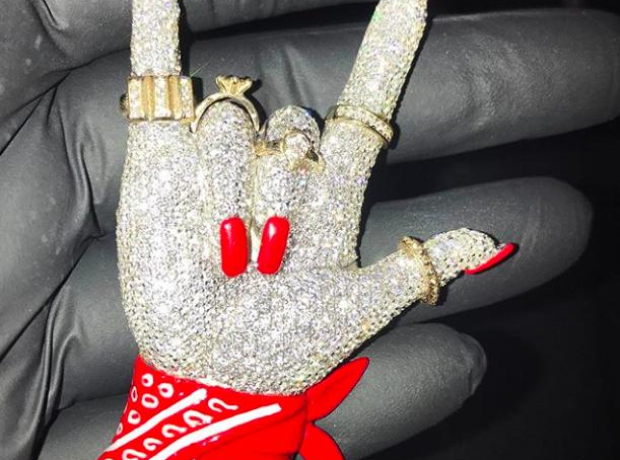 The personalised 'Bloody Moves' chain features a diamond-encrusted hand with bright red nails, rings, and a bandana.